Think you have no chance to kill a huge buck on heavily hunted public ground? Think again. Most hunters relegated to hunting public grounds have the mistaken belief that mature bucks are virtually nonexistent in these settings. But in my experience, nothing could be further from the truth. I’ve spent considerable time chasing such bucks on lands open to the public in Wisconsin, Minnesota, Missouri, Illinois, Iowa, Kansas and even Canada. Each year, I invest about a third of the season hunting land that’s open to anyone. 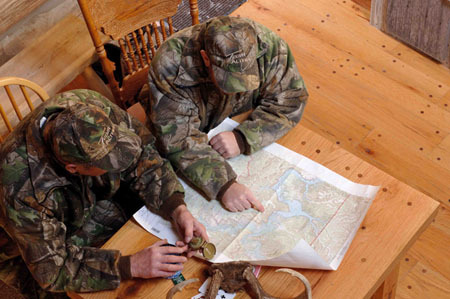 With the exception of Canada, each of these areas is pounded by other hunters. I have no doubt that does nothing to convince Eastern hunters. After all, no one can say that world-class bucks live in the public lands of Maine, New Hampshire, Vermont, New York or Pennsylvania. Well, someone might want to inform New Hampshire resident John Klucky, who in 2006 killed a 14-point monster on public land. With a gross score of 1995/8 and an official net typical score of 1872/8 Boone-and-Crockett (B&C) points, this public-land buck isn’t only huge, it is now the New Hampshire state record typical killed with a firearm. 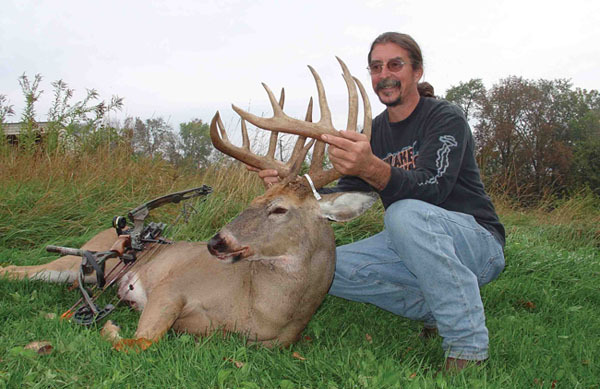 Though I don’t know of any other recent state-record bucks taken from those Eastern states’ public lands, I could list off plenty that break the 160-inch mark. They are there, no doubt. What makes them tougher than mature bucks living on moderately to lightly hunted grounds is that these warriors have really seen it all. They are true masters of survival. The first key in killing these masters of survival lies in understanding how they elude hunters. Though some certainly catch a few breaks along the way, most base their survival on finding the locations where we don’t go. Sometimes, that consists of miles of sprawling wilderness. In most cases, it’s just something overlooked. Either way, if we want a legitimate shot at them, you must locate this no-man’s land. I believe so strongly in this that my scouting efforts in these settings never begin with my trying to find deer sign. Frankly, I want these giants to leave plenty of sign in the obvious areas for other hunters to find. With the majority of that sign being left after dark, that lessens the odds of other hunters working harder to find where they truly need to be. Regardless of sign, I first focus on locating the unhunted areas. These pockets might be some of the easiest areas to access. A great example of this is a small, isolated growth of trees and thick brush bordering a dirt road that I hunt. It was separated from the big timber by a quarter-mile of tall grass, and other hunters would have laughed at the idea of placing a stand there. That’s exactly why I was able to kill a 3½-year-old 10-pointer in that spot. Early in life the buck realized that he could bed there, safe from the masses that hit the woods. Water barriers can create sanctuaries as well. 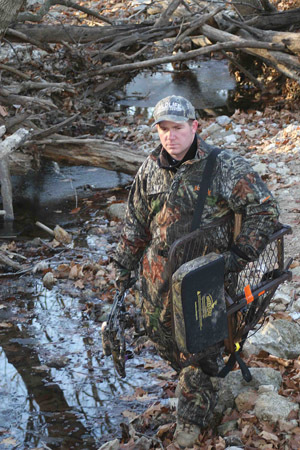 For some reason, few hunters will slip on a pair of waders or pull out a canoe. Because of that, sizable chunks of land on the other side of water courses often go unhunted. That was the case with the area mentioned at the head of this article. Though both swamps could have been avoided, the result would have been well over a mile of extra walking. Already being a half-mile off the nearest access point, I thought that the choice between putting on waders or walking a mile and a half ensured I would have the area to myself. More importantly, it ensured that the great buck I shot there was able to live peaceably until that fateful morning. The most overlooked water-related hotspots are islands. So often the forested areas surrounding large rivers and lakes are hunted hard, but the islands are left alone. That makes them magnets for bucks trying to survive. Next, there are terrain features that discourage other hunters. Most times, people aren’t willing to scale a steep 500-foot ridge or traverse a deep gorge, particularly when ample sign tells them they can go the easy route and hunt the friendlier side they park on. I’ve used that to my advantage in Wisconsin, Kansas and Illinois. Of course, there’s always going the extra mile on the bigger tracts of land. That’s exactly what Wisconsin hunter Wally Sitka did. The first year Wally hunted one particular huge buck, he had a close encounter with the animal about a mile back in. Before eventually arrowing the animal early in the 2007 season, Wally shifted deeper twice more, finally setting up around two miles from the nearest access point. His final setup was right at the doorstep of the buck’s bedding areas. Even this far from access, the buck still chose an area so thick and nasty that Sitka could only catch flashes of him before he stepped into a shooting lane. To get to such a remote location, Wally had ridden a bike as far back as he could and walked the rest of the way. To get the big buck out, Sitka had no choice but to enlist the help of his friend J.R. Treharne. J.R. didn’t mind a bit. After all, it’s not every day that you can help your friend drag out a public-land buck that has a perfectly clean 12-point rack and a gross score flirting with 190. Along with finding where other hunters don’t go, I’m sure you’ve already picked up on the second key: setting up as close to the buck’s bedroom as possible without him noticing you. That’s where some woodsmanship and common sense come into play. When trying to find that bedding area, you must scour the area, looking for big-buck sign. If you can follow it correctly, those big tracks, scrapes and rubs will show you the path. Look for one of three features: First, the thickest, nastiest stuff in the area is always a good bet. Some form of topography that provides a superior view is another one. In my case, it was a combo of tall grass and a small knob in the middle of it. From it, the buck had both cover and a good view. Finally, look for nasty terrain that the buck can use as a safety barrier. Bedding at the edge of a sharp ravine or at the base of a sheer wall blocks the possibility of danger approaching from one or more directions. Most times, a buck’s bed will offer superior cover, a view, a safety barrier or a combination of those features. Next, find that big depression that indicates a bed and you’re in business. The access and exit routes that a buck is using are usually fairly easy to pinpoint. However, common sense and an analysis of the terrain should be used to determine how far one must to go to remain unnoticed. Up to this point, bumping the buck is acceptable. I truly believe that pushing any buck from his bed once isn’t the kiss of death. So long as you aren’t going in ultra-stealth mode, he’ll know you’re coming well before you find him. When he slips away unscathed, all it shows is how effective this location is in keeping him safe. Still, you really don’t want to bump him any more than you have to. That’s why you should scout with a stand on your back. In many cases, leaving stands up on public lands isn’t legal. However, even in this case, bringing in the stand provides the chance to prep the tree before the hunt. Keeping disturbances around the stand to a minimum is a huge concern. Remember, this buck has lived this long by eluding all the other hunters. You can bet that he’s been educated to their activities, both through firsthand encounters and through the odors that hunters have left behind. Go in as odor-free as possible, don’t mill around the stand and generally keep disturbances to a minimum. 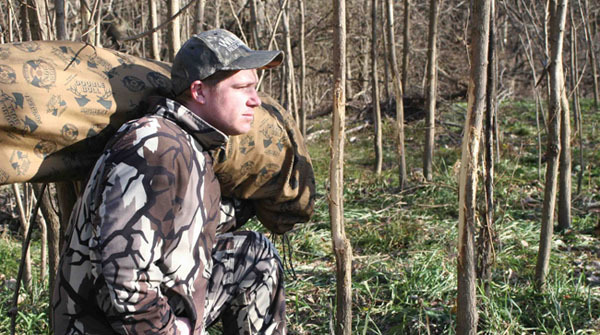 You must keep a buck ignorant to your stand location. A big part of that is leaving the gadgets at home. Sure, blind calling and rattling looks extremely cool on TV, but those guys aren’t hunting heavily pressured bucks. Think of how many others have tried this before you. It’s not out of the question for a buck in such settings to hear five or more calling sequences in a single day. If he wasn’t conditioned early, he’d be dead. When doing nearly anything to draw attention to yourself in these heavily hunted situations, you might as well start jumping up and down and screaming at the buck to stay away. The only exception to this is when you already see a buck and he isn’t coming your way. Then you might toss a doe bleat or grunt and snort-wheeze at him, but refrain from even that if you believe there’s a decent chance he’ll swing back around. Mature bucks do exist on most chunks of heavily hunted public grounds. No, their numbers aren’t as high as on large areas of heavily managed grounds, and they are nowhere near as easy to kill. However, that doesn’t change the fact that they are there for those willing and able to take them. To do so, the first key is finding where other hunters aren’t. Next, locate and set up as close to that bedding area as you safely can. Finally, do your very best not to draw attention to yourself. Do that, hope for a little luck, and going all out on public land just might pay off in a very big way.